According to Parade.com, Grammy Award- and Academy Award-winning artist Melissa Etheridge has been tearing up the charts and tearing off the roof since 1988 with her signature sound. She is best known for her hit songs “I’m the Only One,” “Come to My Window,” and the song that first propelled her career, “Bring Me Some Water”. Her current album, “MEmphis Rock and Soul,” was released in 2016 to critical acclaim, and features original songs as well as her interpretation of classics. For more info, visit www.melissaetheridge.com. Kate Pierson and Cindy Wilson are original members of one of the most beloved party rock bands, The B-52s. Known for their unique musical and performance style, the band has made a permanent mark on the musical world with hits such as “Rock Lobster,” “Roam,” “Love Shack,” and many more. Celebrating The B-52s’ 40th anniversary, Kate and Cindy continue to perform with the band, in addition to working on solo projects. For more info, visit www.theb52s.com. Melissa Etheridge, Kate Pierson and Cindy Wilson join a host of 2018 honorees that includes the pioneering all-girl band Fanny and Exene Cervenka of X plus a collection of role models from all walks of the music and audio industries. 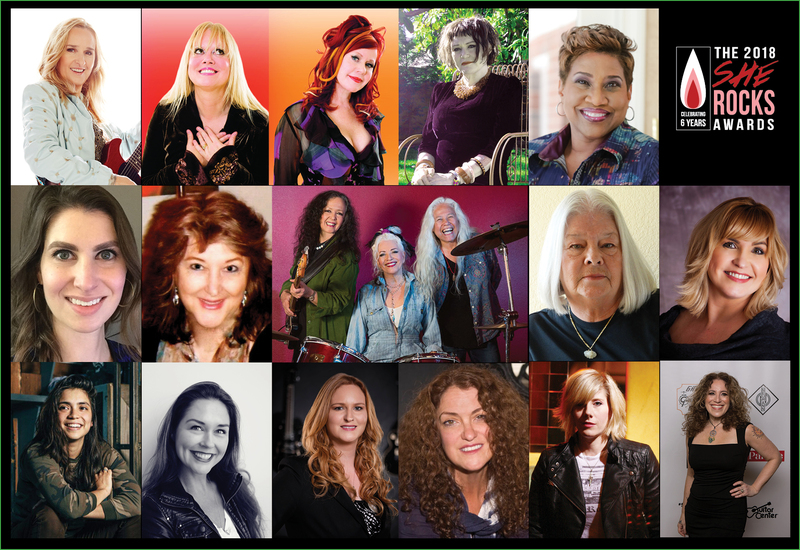 View the full list of this year’s honorees at http://www.thewimn.com/she-rocks-awards/. Tickets are on sale now. Learn more at www.sherocksawards.com. The She Rocks Awards will be live streamed on January 26, 2018 at 7:30 p.m PT on Parade.com.